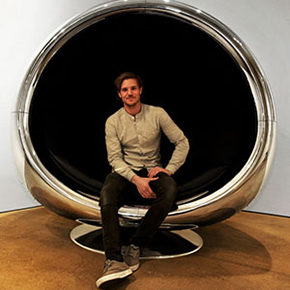 Southern California-based company MotoArt designed an epic office conference table made out of a Boeing 747 Jumbo Jet engine. 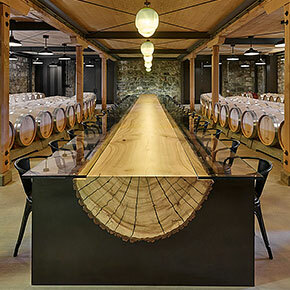 The company is considered to be the pioneer of recycled airplane parts furniture designs, but this innovative 12’ wide table is probably their grandest work yet. 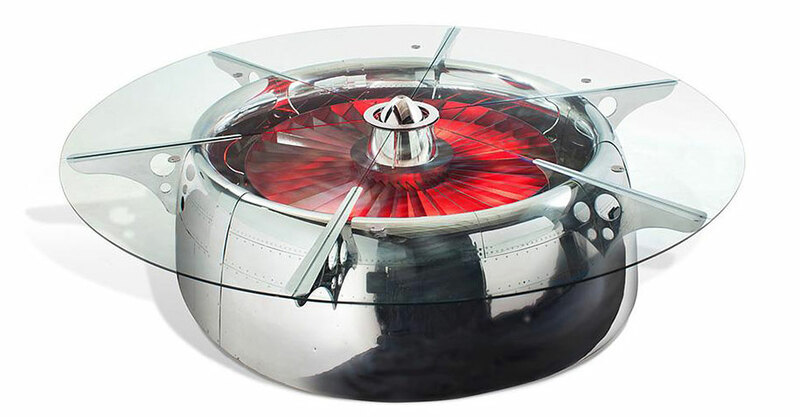 The table looks extremely hip and modern with its high mirror polish and a custom-fabricated stationary engine core set with internal multi-coloured LED lights topped with a polished spun aluminium dome and a stylish 1/2″ round tempered glass top. 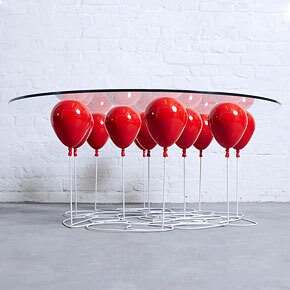 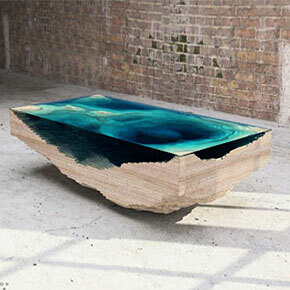 The table is also complimented with phone holders and electric sockets beneath the glass to charge them.